Hmmm, – if not Jim, how about maybe Margaret Mitchell? “What if” you did “mess” with her “Gone With the Wind” and had Rhett Butler return to Scarlet, what if Shakespeare’s “Romeo and Juliet” never had died and eventually had triplets, or Peter Pan just simply grew old? Well folks, we all love sequels, prequels and “what ifs” – simply finding out what some of our favorite classic characters did next. 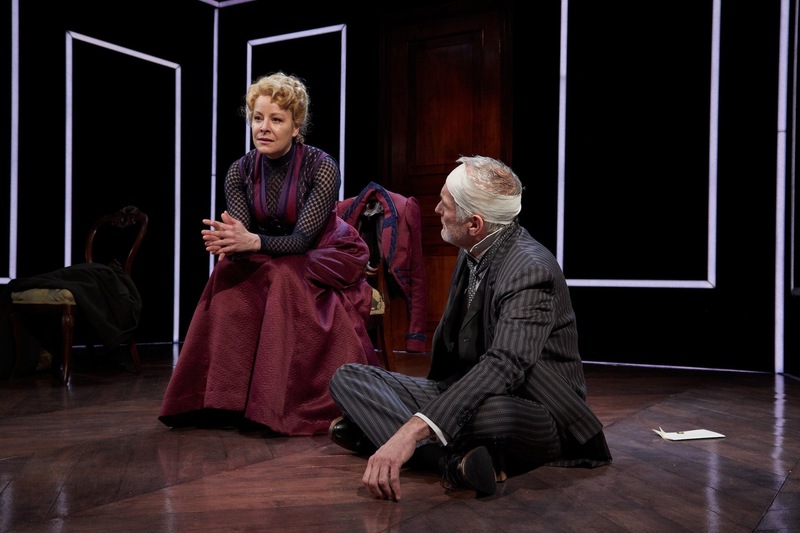 Now here’s a great “what if”, how about being reunited with Norwegian playwright Henrik Ibsen’s “A Doll House” and his most controversial character Nora, who walked out on her husband and three children 15 years ago. 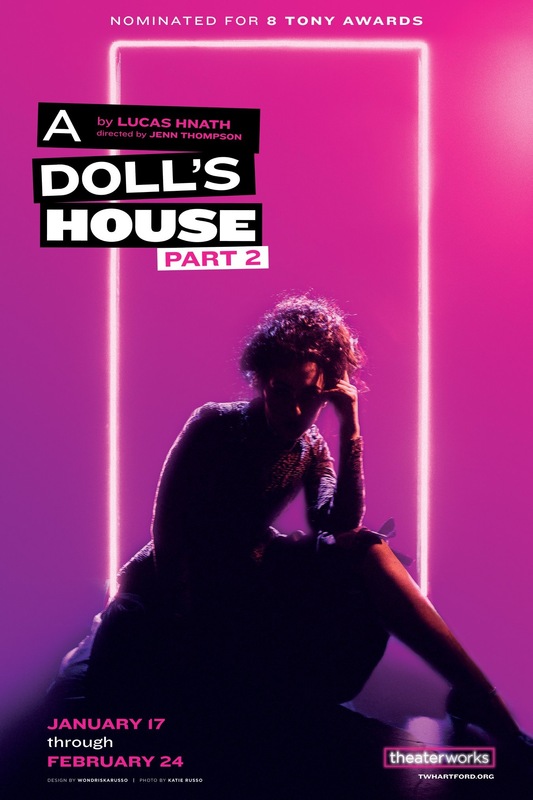 Well guess what – she’s back in “A Doll’s House, Part 2, written by Lucas Hnath, currently in production at TheaterWorks and making its Connecticut Premiere and folks let me tell you it’s one doozy of a retell! 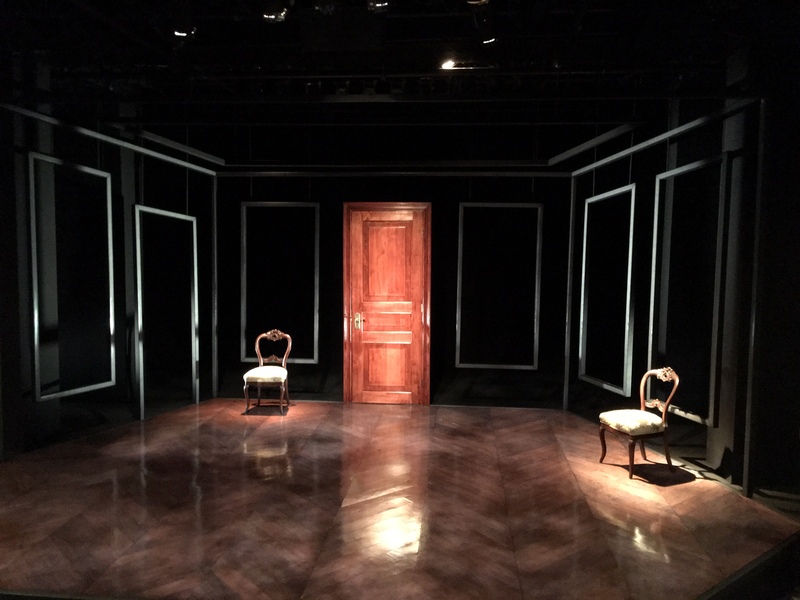 Plain and simple – this production is RIVETING! Yes exclamation point! 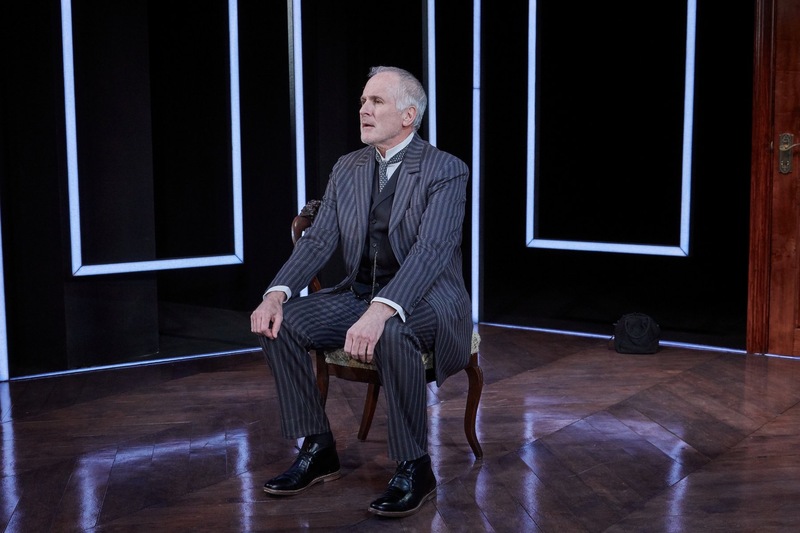 I literally could not keep pace with those splendid actors on stage, my head bobbing from one to another. 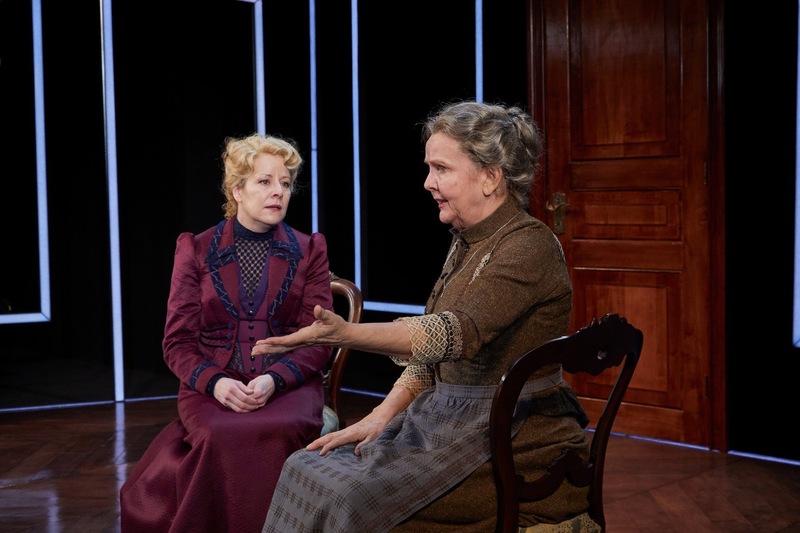 I delighted in their oh so heavenly hot and heavy verbal exchanges between Nora, her onetime children’s nursemaid Anne-Marie, daughter Emmy, and the man she walked out on – her husband Torvald Helmer, and I LOVED IT! And guess what- so will you! 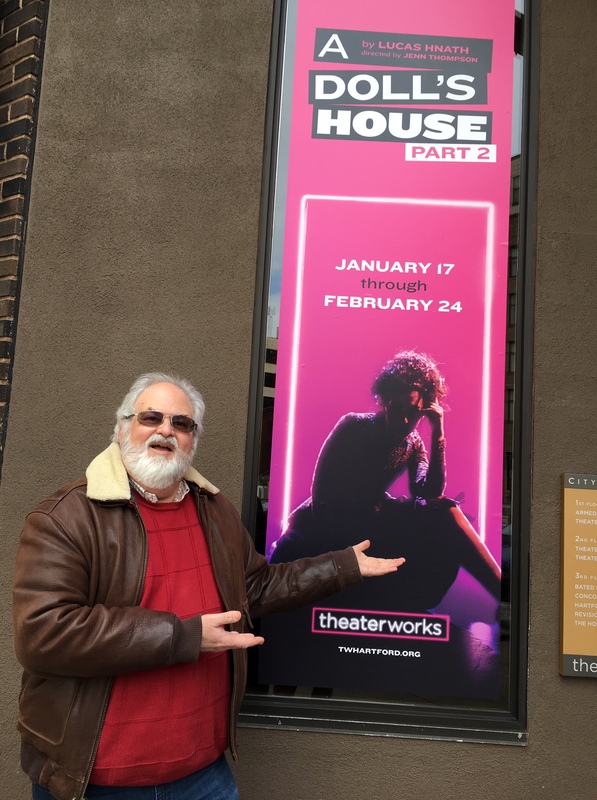 I along with a “sold out” audience at TheaterWorks, we are literally hypnotize, sitting at the edge of our seats, head in hand fascinated not only by this continuation of the House of T. tale, but by those actors and its pristine direction on stage. 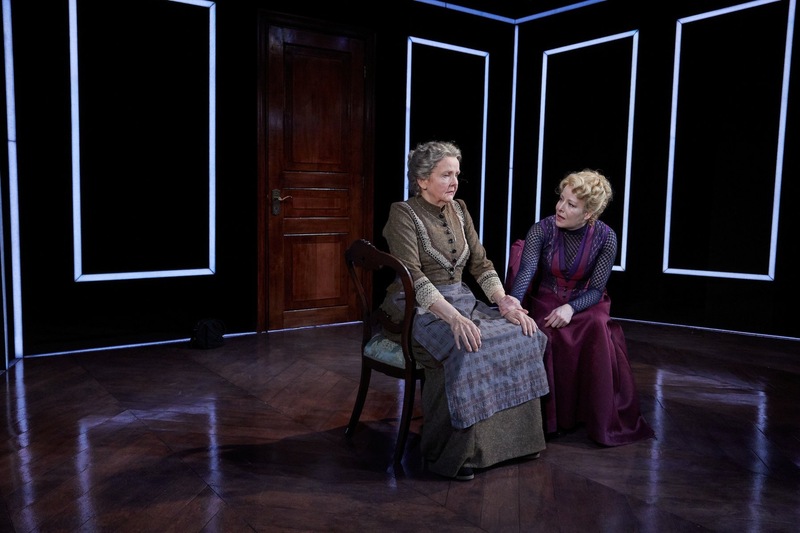 I usually wait till later in my reviews, but both Tasha Lawrence as Nora and Amelia White as Anne Marie are absolutely amazing, such power in their respective roles, such humor, – such accomplished actors, I say bravo- as well to Director Jenn Thompson who delivers to us such true life portrayals. By the way, the original Broadway production received eight Tony Award nominations, with Laurie Metcalf receiving the 2017 Tony Award for Best Performance by an Actress in a Leading Role for her portrayal of Nora. Firstly, to enjoy this sequel you don’t need to get yourself reacquainted with part one or even Henrik Ibsen. In truth you only missed some macaroons, a Tarantella, some Christmas packages, a steamy interlude with a pair of nylons, and a door that leads to a new life – you can go back later if you want and catch up. Yes Nora is back – as stated in the PR- “15 years ago, she slammed the door, now she’s Kicking It In”. Though Part Two is 90 minutes long, it feels like time has stopped, we are indeed at a stand still as we are reintroduced to these characters, the world they occupy and those norms placed on both men and women.The place-Norway, we return to the Helmer house, the year 1894, Nora pounds that singular door awaiting to be let back in. So what has Nora done in the last 15 years since she left Torvald and her children, well according to nursemaid Anne Marie -“we thought you were dead- what brings you back after all this time”? Great question which leads us to a most excellent explanation. Well firstly, let me tell you – Nora did survive after leaving Torvald , in-fact Nora has done mighty well for a single independent woman of the times, she dresses well, has her own apartment, signs her own contracts, has a myriad of lovers young and old – (she has had lovers – she has had a life) and is now a well know author (under a pseudonym) telling young women how they too can be independent and not lead a life of only being a wife and mother. Yet why the return?Well it turns out that Nora and Torvald never officially divorced, and now she needs a signed dissolution of marriage or she might end up losing everything she has achieved during those preceding 15 years. As for her children, especially daughter Emmy (Kira Player) – “things may have turned out better because she was not around”. As for Nora – she is woman – hear her roar! 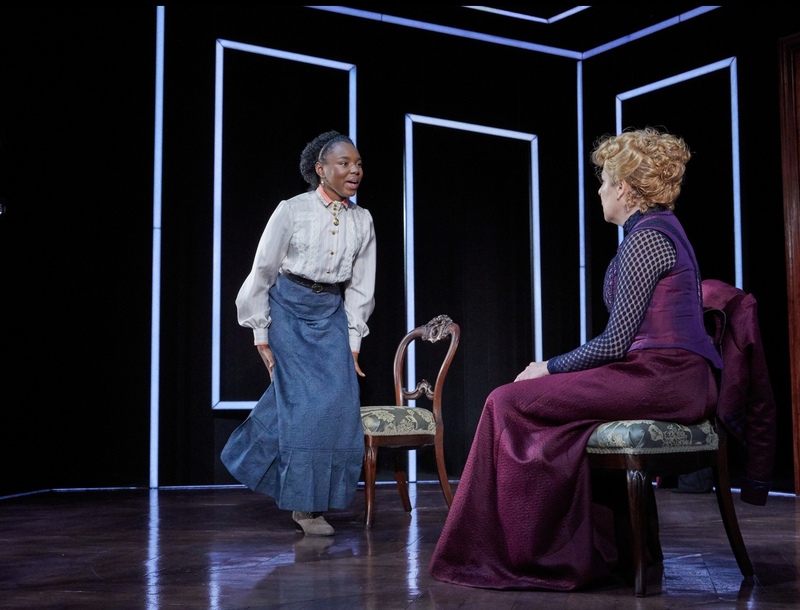 As stated, the acting here is top-notch- Tasha Lawrence as Nora literally commands that stage. Her onstage presence from light matter of fact humor to explosive emotion is powerfully delivered and not soon forgotten. Amelia White as the put upon Nursemaid Anne Marie, Sam Gregory as Torvald, and Kira Player as Emmy provide a triumphant triptych of talent to this top notch production. Please note though the costumes by Alejo Vietti may be of of the 1890’s period, yet the language utilized, (and there are several several “F bombs” used throughout) they are definitely expressions of today. An excellent thought provoking production I hope you take the time to take in. Sometimes it’s a good thing to mess with Jim. Enjoy. 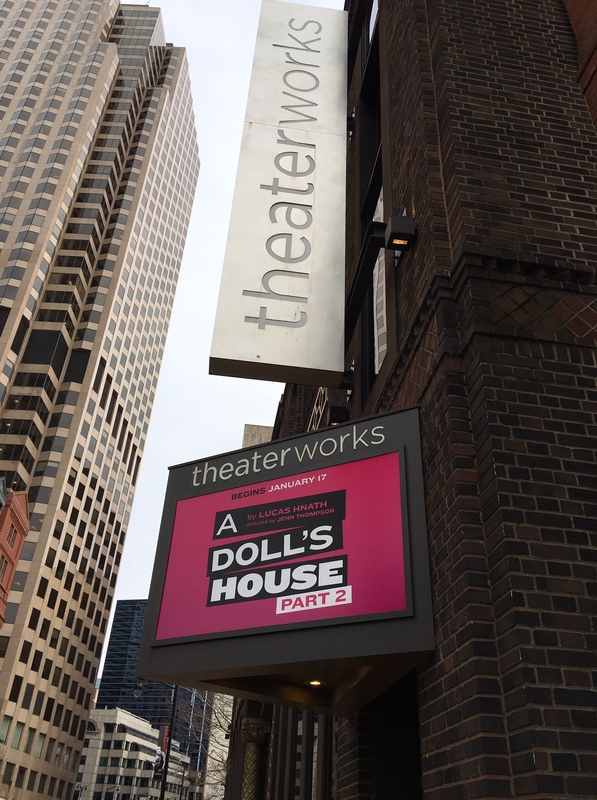 “A Doll’s House, Part 2“ is currently being produced at TheaterWorks, City Arts on Pearl, 233 Pearl Street, Hartford, CT. For tickets or info call TheaterWorks at 860.527.7838. Run Dates: July 20th through August 26th 2018. 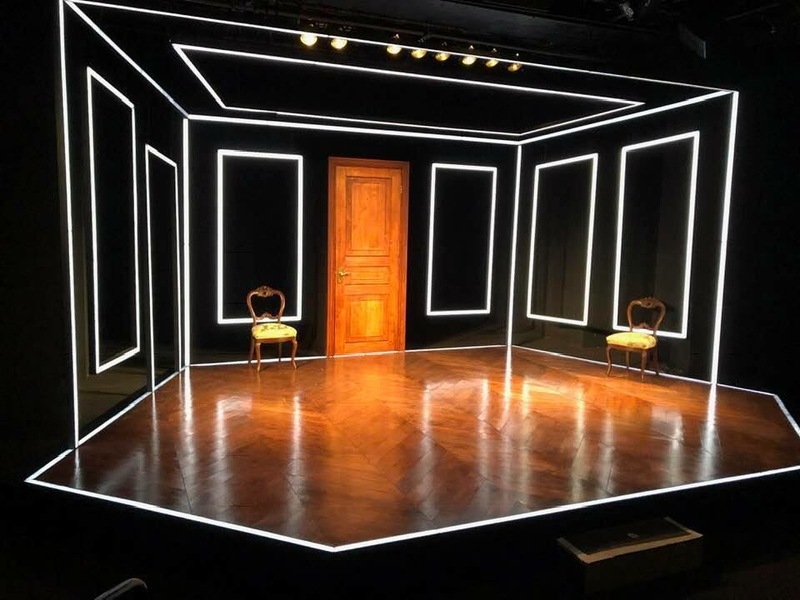 This entry was posted in Howard, Howard Steven Frydman, The Howard, Theater, Uncategorized and tagged A Doll’s House Part 2, Howard Steven Frydman, Jenn Thompson, Lucas Hnath, The Howard, theater, TheaterWorks. Bookmark the permalink.